The WoW expansion, released Nov 13, incorporates more cinematics than seen in this game before, in addition to implementing a “build your Garrison” idea that enables the user to use some creative problem solving and strategizing. The cinematics help tell the story and creates a more engaging feel. As bandwidth is increasing, perhaps a blend of moviemaking, video game playing and sandbox building will begin to mesh more. So, how does this relate to education? For one, the technology used could be a more effective way to teach by immersing students into an environment, incorporating video/machinima and providing problems for students to solve. A screenshot of a video in the WoW, provides that “up-close, you are there” feeling. Video is the next best thing to being there and of course teachers generally use film/video to help teach concepts, but the mix of the two was what is so compelling. As the character moves about and completes quests a cinematic pops up to help explain, to move the narrative forward, to immerse the player. If we replace the word “player” with student, this blend of media has the potential to engage a student to the point where there is an emotional connection with a literary or historical character and events as well as with scientific and mathematical concepts. The Metagame Book Club is currently involved in reading Rise of The Horde and The Power of Myth by Joseph Campbell playing the expansion while reading this book certainly adds an element that increases understanding of the narrative as well as the concepts of the hero’s journey. On the creative side, students creating cinematics with the use of a game engine or virtual word (machinima) can either document understanding of whatever concepts are being learned, as well as developing their own extensions to the learning. 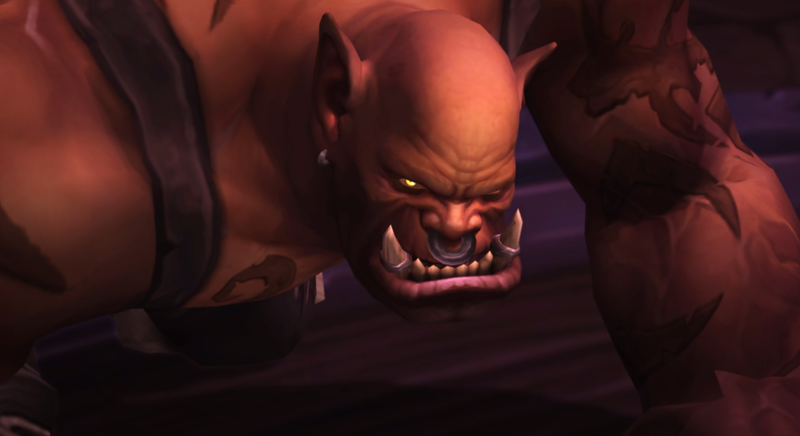 In the WoW expansion, Players need to make choices that will impact outcomes. 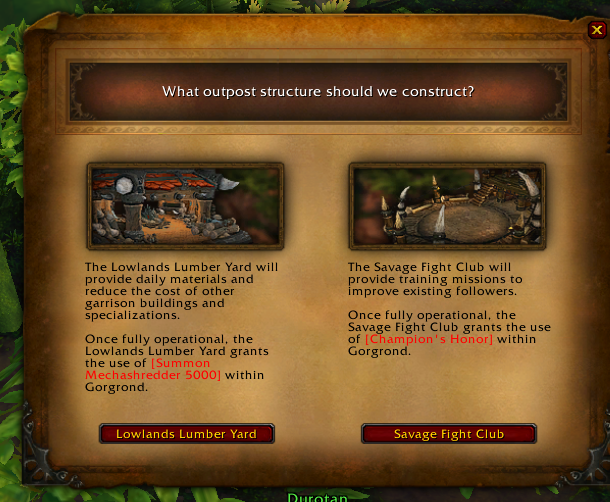 The second feature that is prominent in this WoW expansion, is the building of a “personal” garrison. I got the feeling of the “wild” west. Here I was (my toon) in a dangerous wilderness, with few resources, needing to make friends to build a garrison and survive. Decisions need to be made and problems need to be solved. Using this expansion, as is, and simply discussing parallels with various historical exploration periods would likely be an engaging way to teach the subject, rather than the lecture style of the 1900s. As we continue to see the development of games and immersive environments the potential for impacting the way we teach and learn is obvious. Totally agree! Combining pictorial and verbal material, as well as making kids involved would surely increase learning efficiency.